34 The Lord Jesus said, A new commandment I give unto you, That ye love one another; as I have loved you, that ye also love one another. Do you have more than one Message church in your city? Imagine if all those Message churches would come together in the unity of the Gospel and the Love that Jesus spoke of. What common ground do we all have that could do such a thing? Only one thing: the Message of the hour spoken by the prophet of the hour. We ALL agree on that Malachi 4 Message. 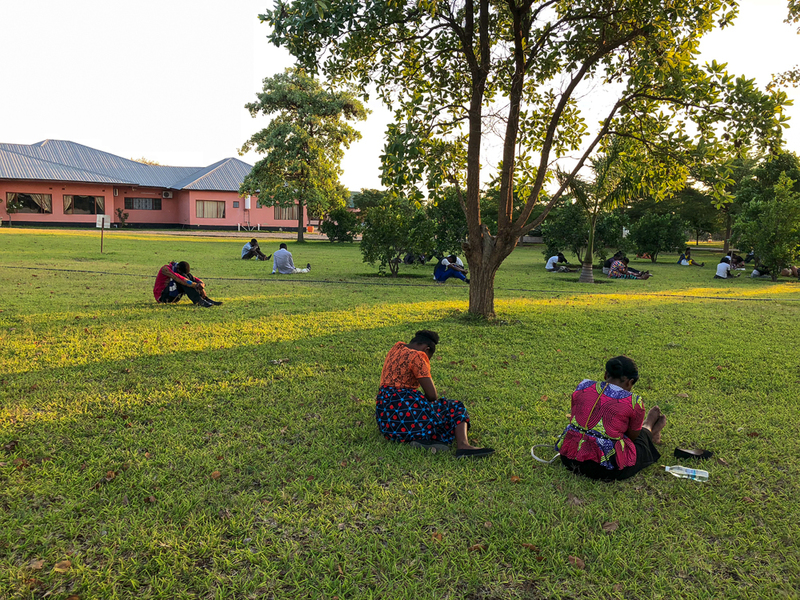 These churches in Zambia are setting the example for the whole world. 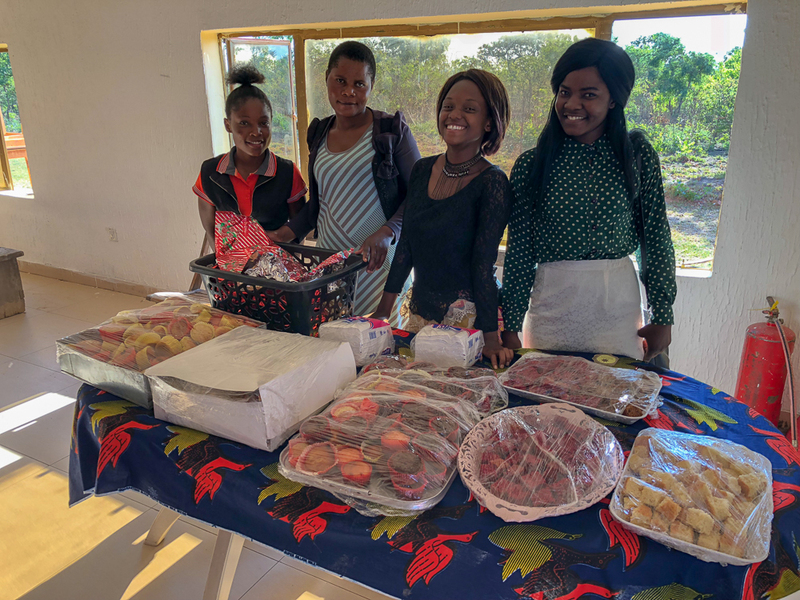 The following is a report from our Zambia office who organized a gathering attended by eight local churches. 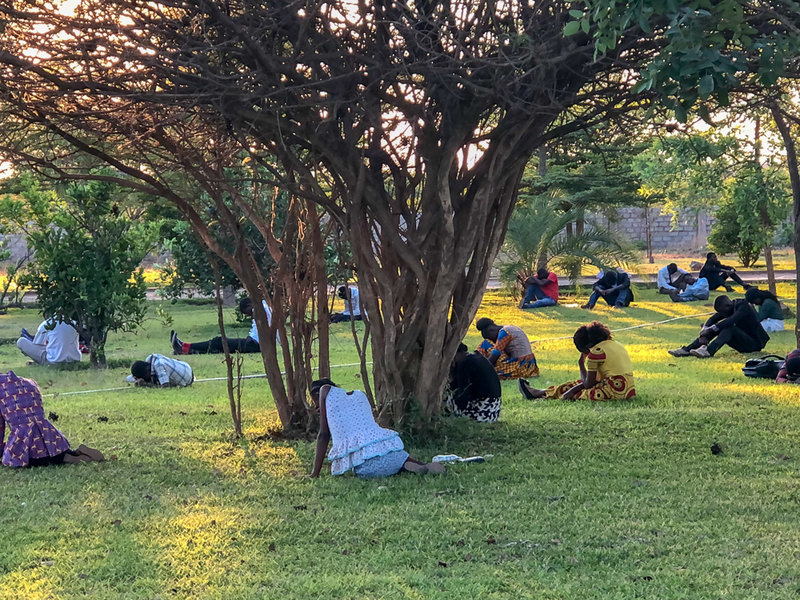 From the report, it sounds like the churches set aside their doctrinal difference to come together on the Bride’s common ground. 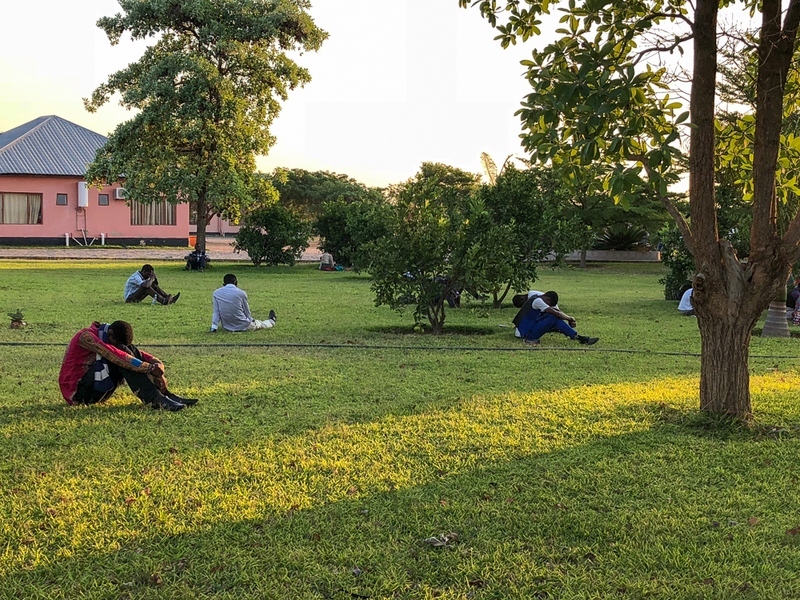 The Zambia VGR team recently had a successful joint Tape service and Quiet Time with eight Message churches from Choma, which is in the southern province of Zambia and about five hours away from the Zambia VGR office. 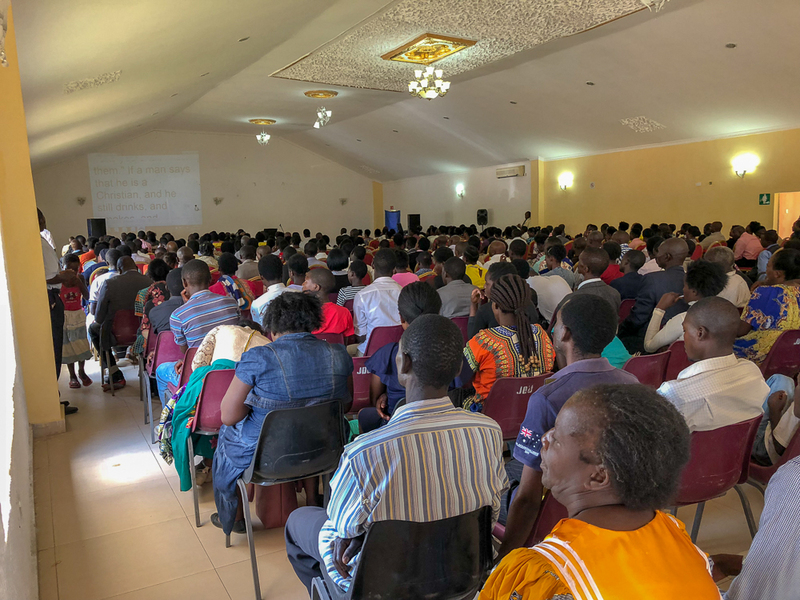 There were well over 500 Believers who attended this meeting, and it was truly an amazing experience to be a witness of how the Lord blessed us all and brought many churches together in unity to listen to this precious Message of the hour! 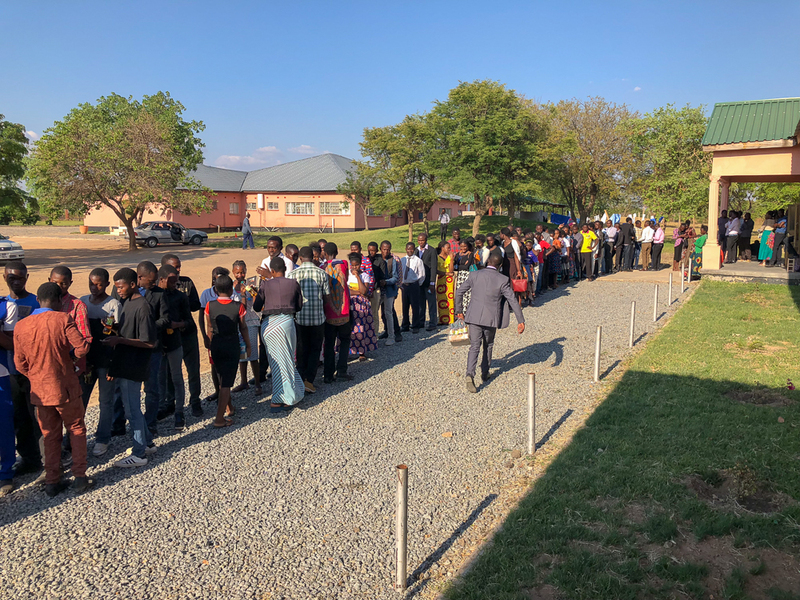 We left Lusaka the day before the meeting was scheduled and arrived shortly after 9pm. 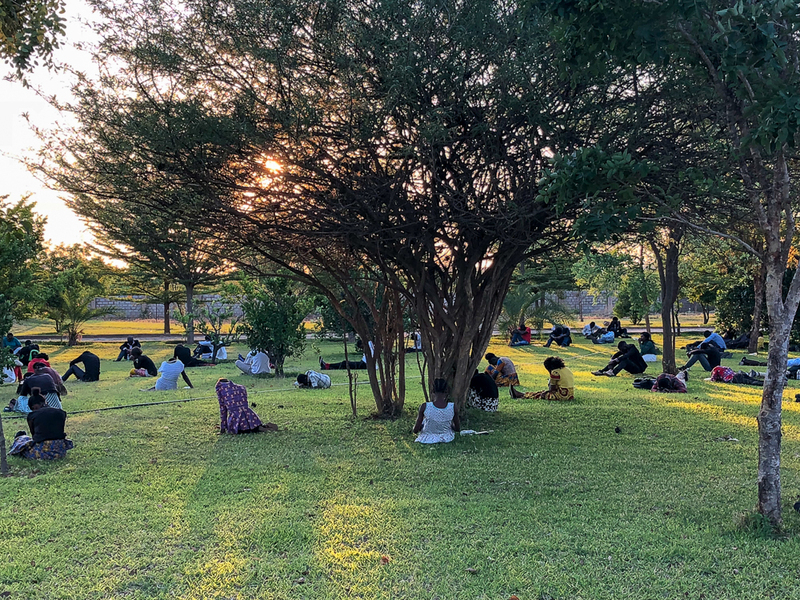 After a night of rest, our team quickly got busy with preparations at the venue location, cleaning, checking the PA system, setting up the chairs, and making sure everything else was set before the Believers started to arrive. 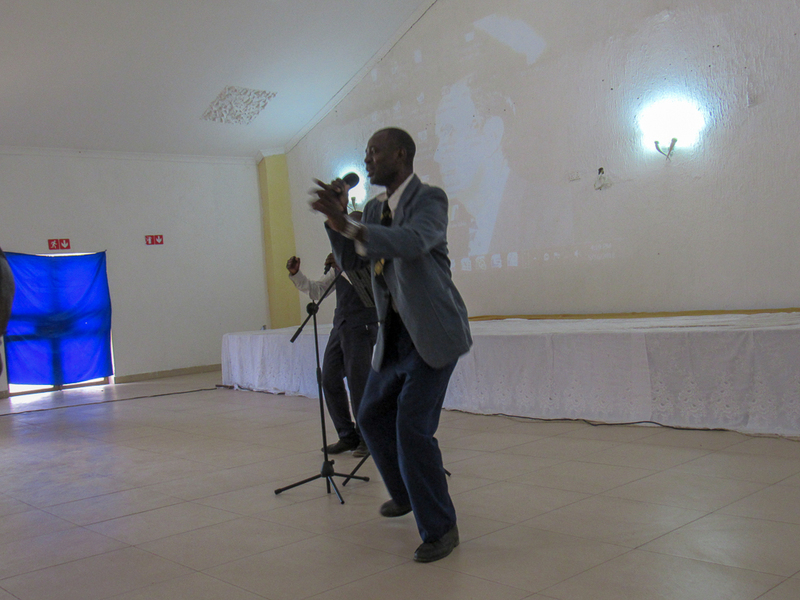 Once the meeting was underway, there was a beautiful song service directed by a local song leader from one of the churches. 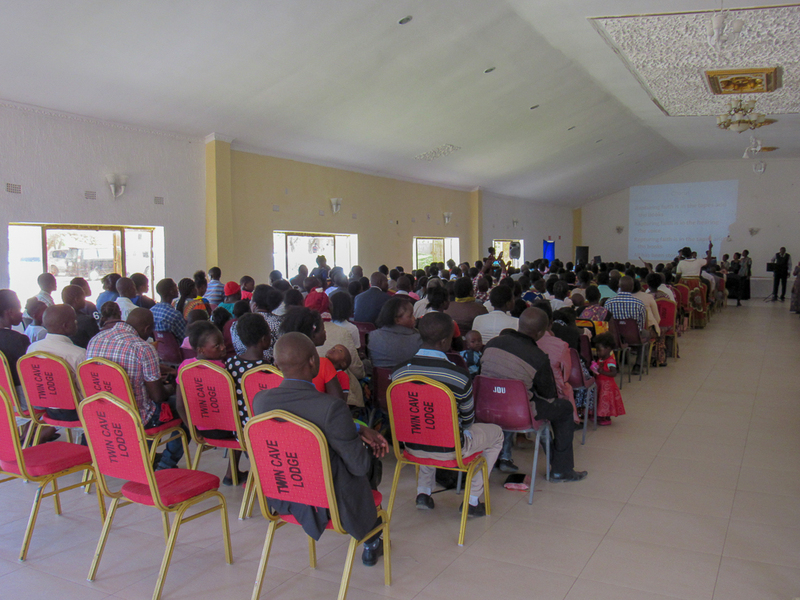 After song service, we gave a presentation on the projects VGR is working on. Explaining to them about the microSD cards and Agapao Tablets and all the distributions containing different languages. 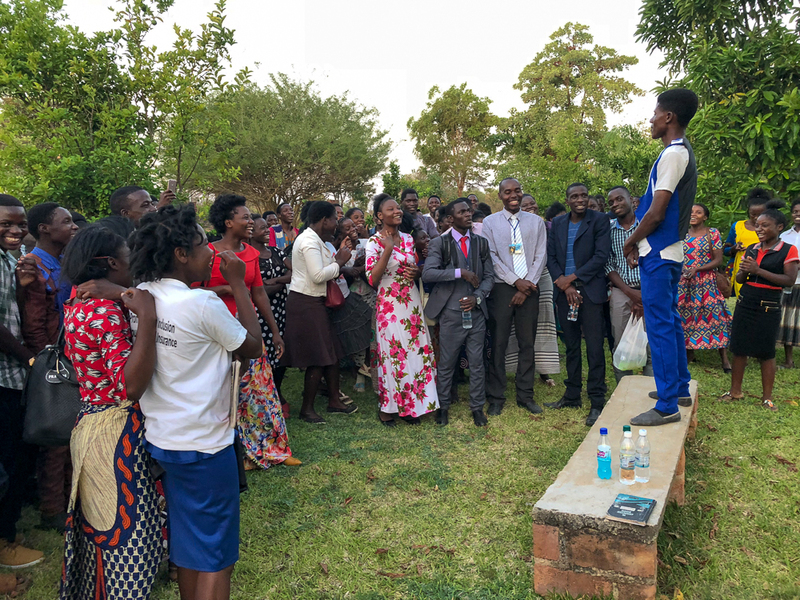 We also spoke to them about Quiet Time and what a blessing young people around the world are getting from this encouragement to spend more time speaking to the Lord and seeking a closer walk with Him. 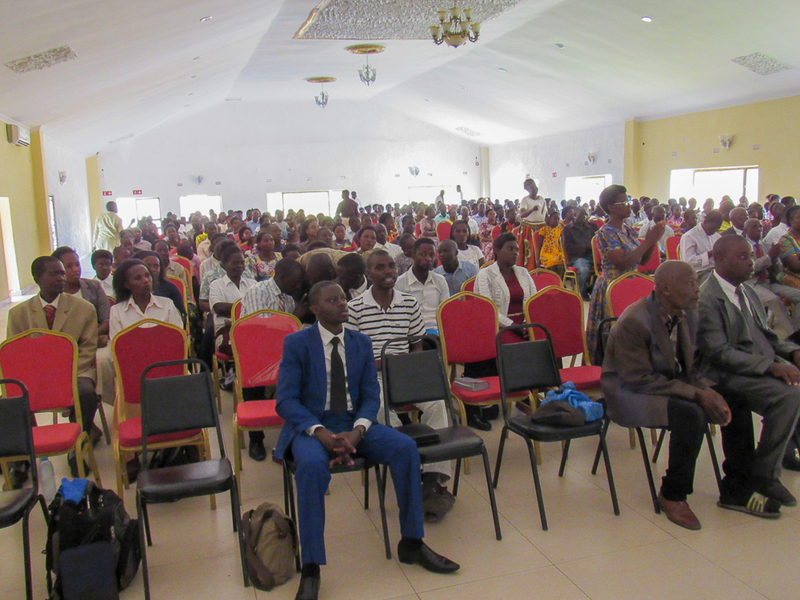 After the presentations were over, the believers rejoiced as an encouraging letter from Bro. Joseph was read aloud to them. They were overjoyed to hear where he mentioned that as God chose Moses to lead the children of Israel out of Egypt, He gave us a prophet with the vindicated Word to lead us through our day and to guide us through the many trials, temptations, and evil that the enemy tries to beset us by. Notice, this angel is the last messenger before the coming of Christ in the 19th chapter of Revelation. The messenger’s Voice! If we notice, when he gave his Voice on the earth, there was a Voice echoed again in Heaven, 4th verse, if you want to read it, all right, 4th verse, the 19th chapter. This messenger on the earth was so inclined with God until, when he spoke it on the earth, God echoed the same thing out of Heaven. The tape ministry is a worldwide thing, everywhere. I think it’s one way God has got scattering the Message back into the heathen lands, back in where that it has to be translated. And in Germany, and so forth, they got tapes they go to their congregations, of hundreds and hundreds of people; and put little things in their ears, and run it onto a tape. And just as I’m speaking, the minister stands there making the same expressions, and in the other languages, and bringing it out before hundreds. And hundreds are being saved and healed, just through the tapes going out across the world. All in English, but being translated in many, many different language in tribes around the world. We hear from them, back through the mail. 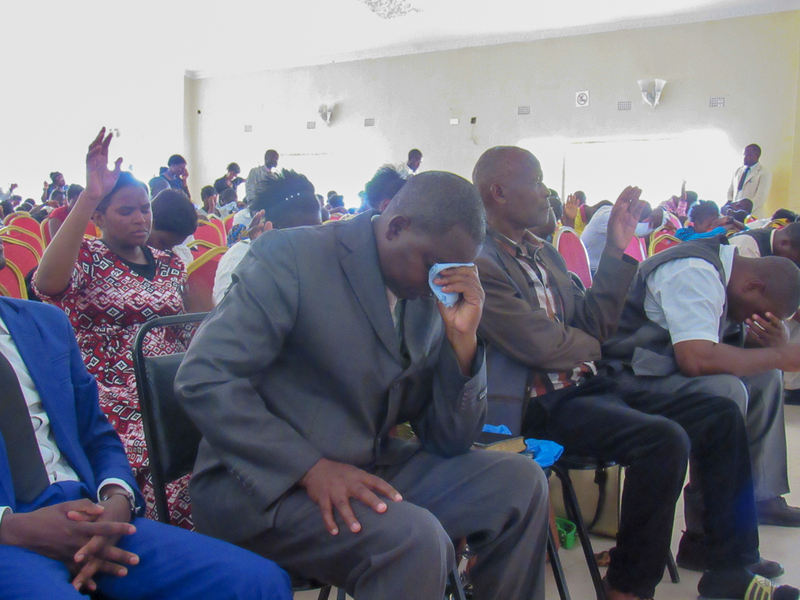 The rejoicing continued as the anticipation grew stronger to hear the Word! 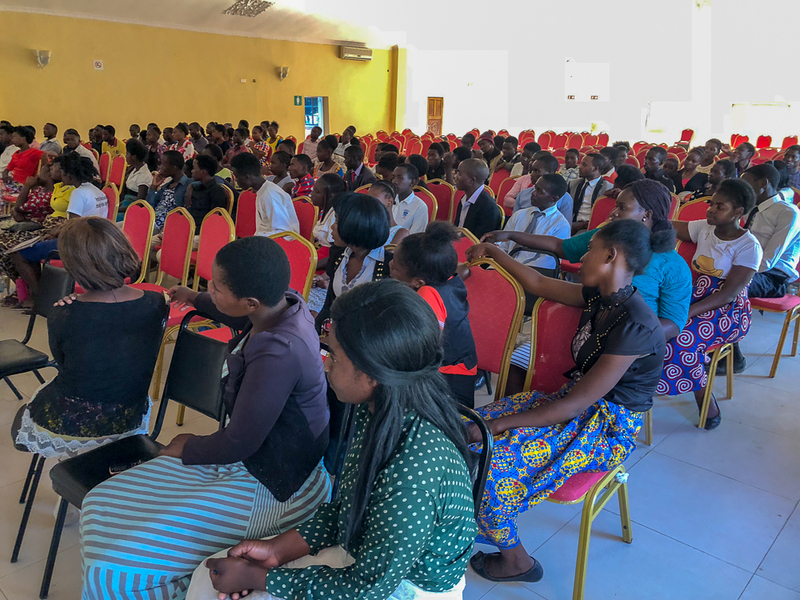 We were very happy to also have our Chitonga translator with us in the meeting, as the Message we were getting ready to hear was 59-0125 “Be Certain Of God” translated into Chitonga! His heart must have been more excited than ever before, as he beheld the fruit of his labors. 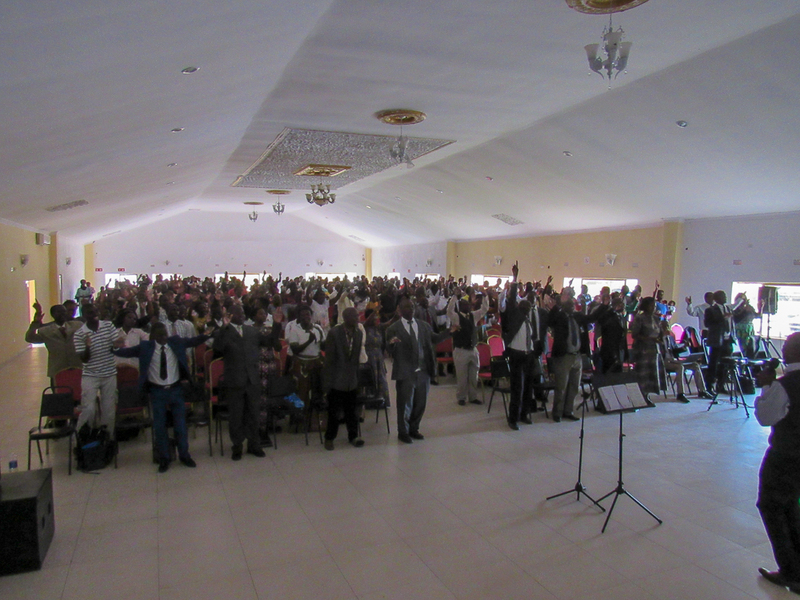 As we listened to the Message, Brother Branham spoke and the Chitonga audio translation followed. You could see the excitement and love that these believers had for this Message as they acknowledged the precious Word that they were hearing! It was truly a precious spirit among each one of us there, and it was evident that this was a truly special meeting. 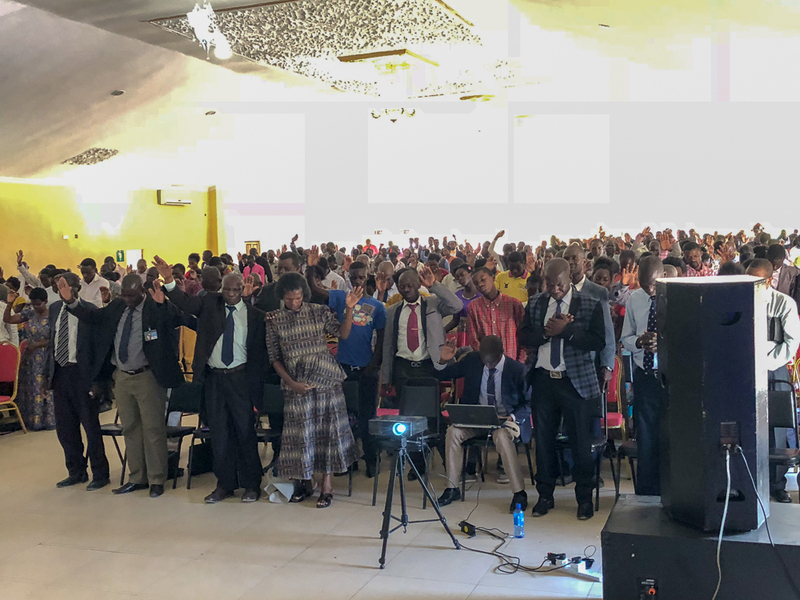 After service, we had pastors come to us and encourage us to keep up with these events that promote unity amongst believers, despite differences of opinions about the Message. Others confessed that they had not met one another in many years, even though they live in the same town. 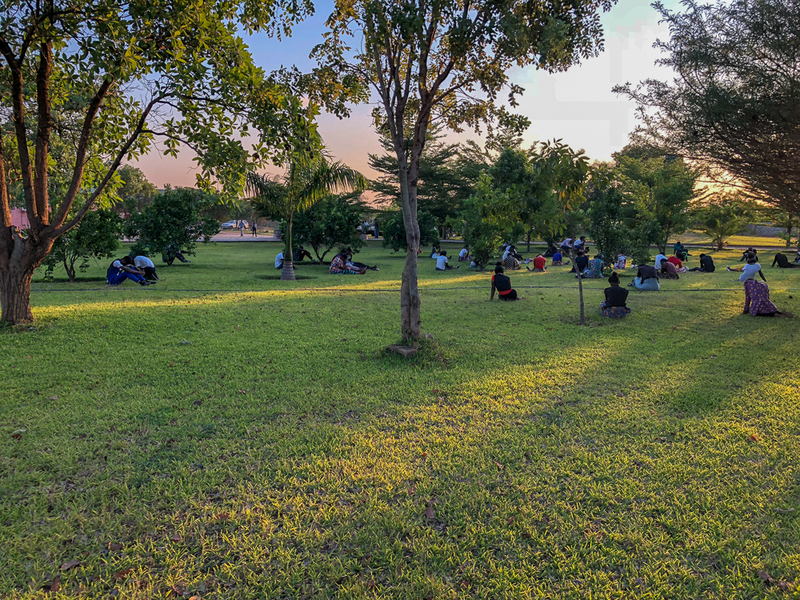 It took over 30 minutes for believers to disperse as they enjoyed fellowship with one another. After such a blessed service, we were overjoyed and tired at the same time, but there was no time to rest! 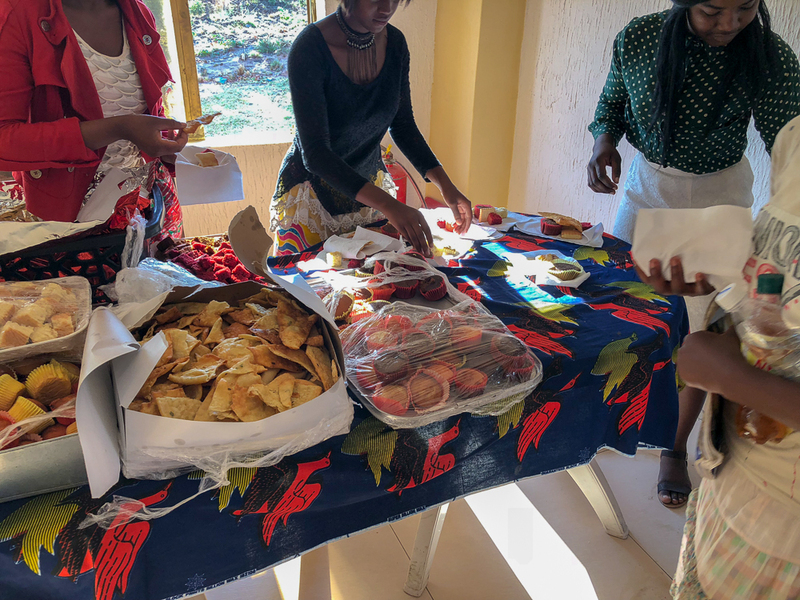 The young people arrived back at 3:30pm, where a snack and drink was served before we could encourage them to be spending more time in God’s Presence. It was such an encouragement to them as another letter from Bro. Joseph was read to them aloud. 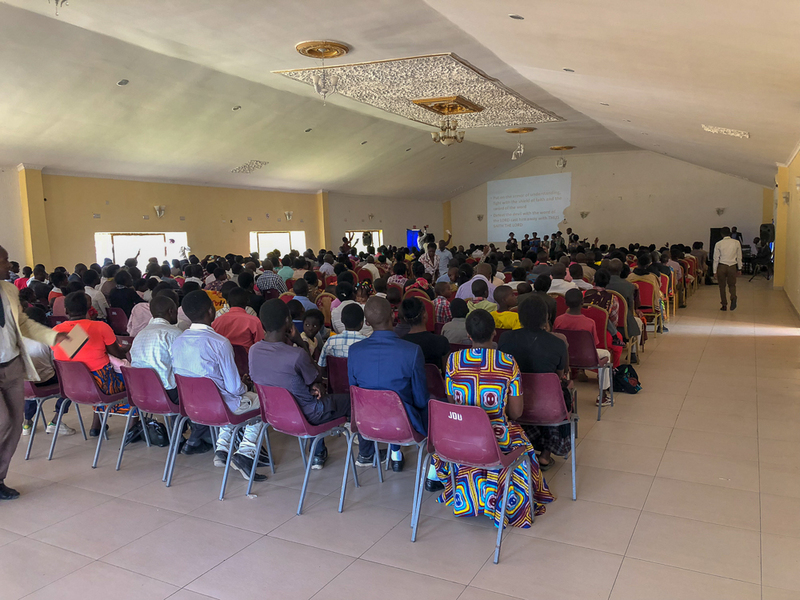 He uplifted their hearts as he expressed to them that God provided a control tower in the midst of the heart for guidance to be a service to Him. He also encouraged them to have Quiet Time all the time, and that Bro. Branham said that God can’t ignore when all those prayers go up at the same time, as they would soon be all praying together. 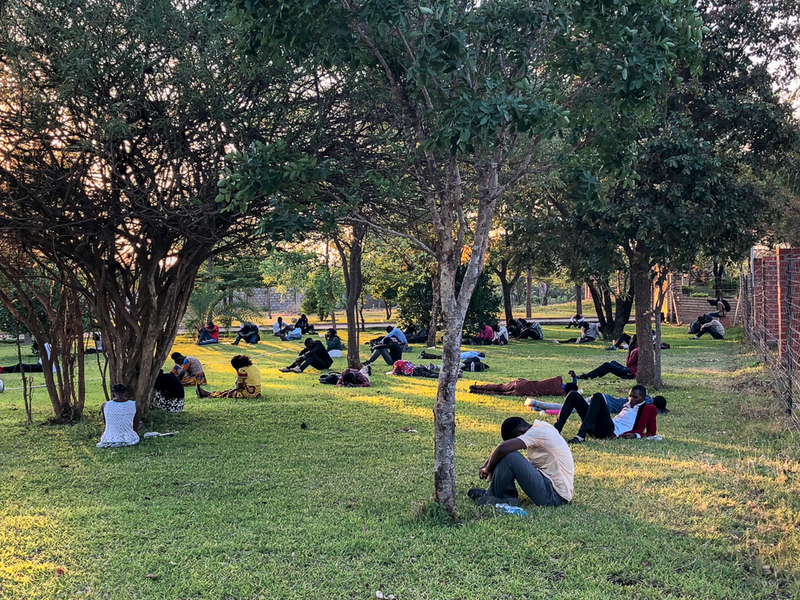 Our Quiet Time arrived at the setting of the sun, and approximately 130 young people walked out of the building to a beautiful lawn, where they sat quietly and spent a quality time of fellowship with Father. In conclusion, we are so joyful to return home after such a prosperous service of eight different churches gathering together to listen to Bro. 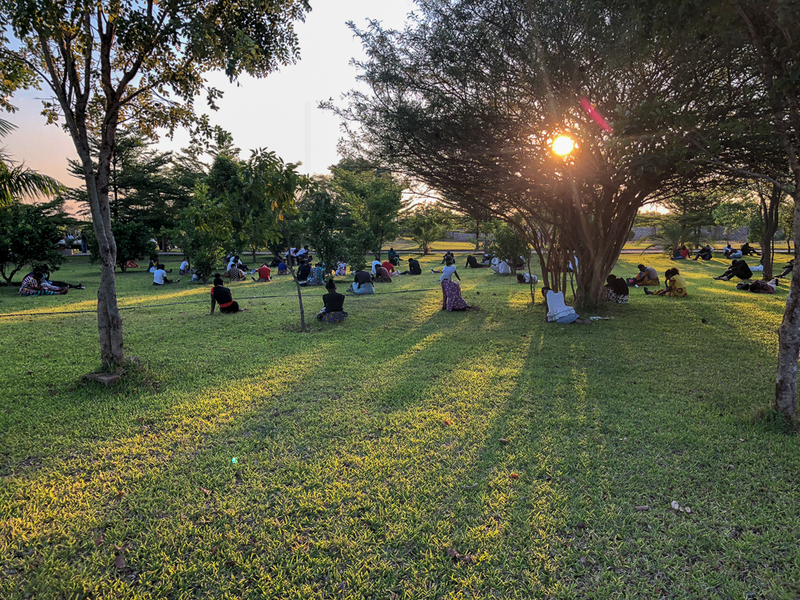 Branham together which has never happened in Zambia, and then receiving another blessing by encouraging the young people and gathering together to have some Quiet Time. Thank you so much Bro. 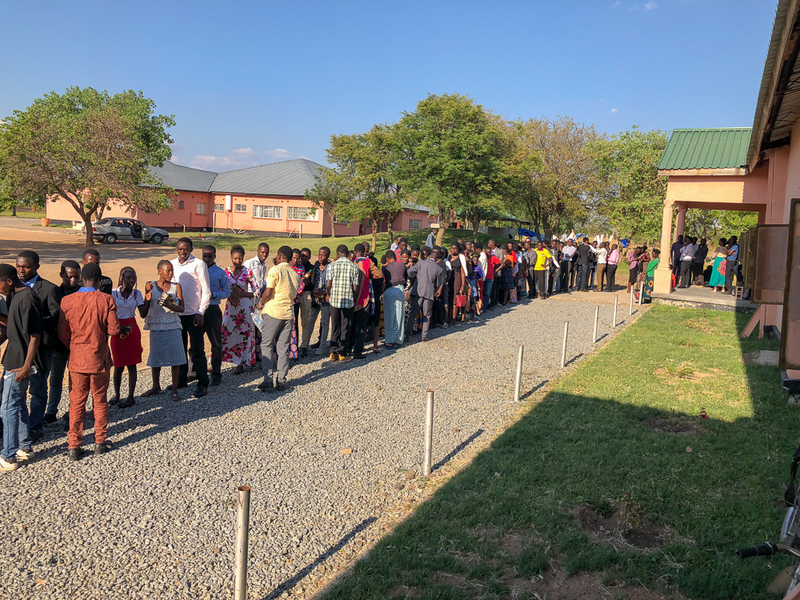 Joseph for sending us to Choma, and thank you Brothers and Sisters for your support.